Buttigieg, J. Tabone, J. Polo Longarela (D. Mercieca), A. Oularbi, K. Mercieca, C. Hili, D. Hili, Al. Xuereb (K. Grima), An. Xuereb, N. Damba (A. Camilleri), L.A. De Melo Lima. 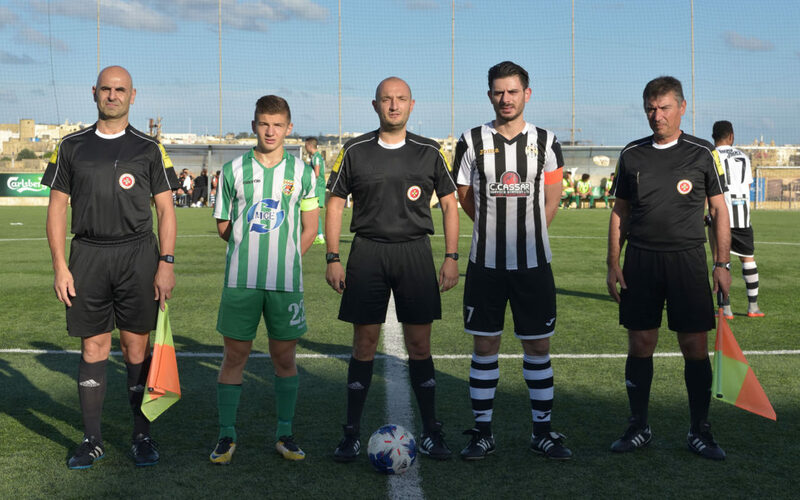 Muscat, D. Cassar, M. Hrubsa, P. Debono (F. Attard), E. Vella, N.P. Mercadante Leite Do Canto, J. Grech (M. Cefai), J.P. Mizzi (O. Grech), N. Mercieca, D. Sakic, F.A. De Oliviera. In the last match from the Preliminary Round of the BOV GFA Cup, Kercem Ajax obtained a 4-2 win over Ghajnsielem after extra time. The win for Kercem matured during a period of extra time when they were playing with a player less on the field. With this result, Kercem confirmed the improvement registered in their previous matches of the championship where they earned their first points from two consecutive draws after a disappointing start in the 2018/2019 season. 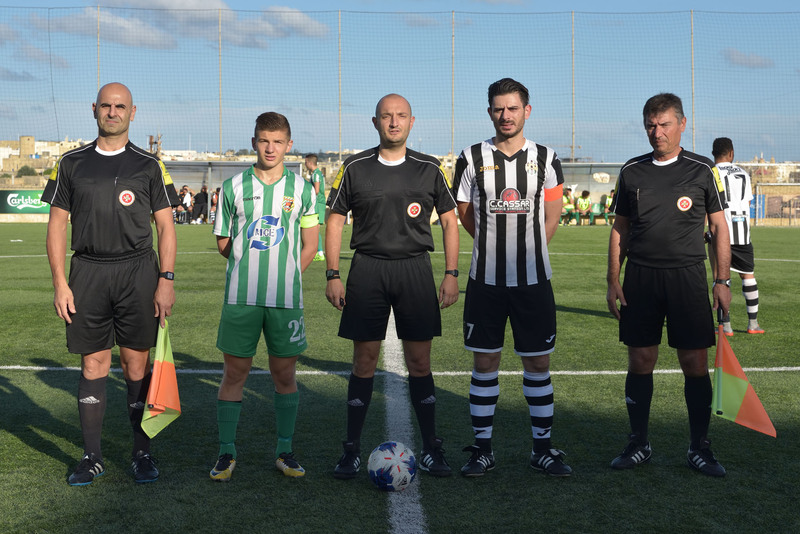 The match between the two sides from the top category of Gozitan football was well contested and for a long period of time the two sides had equal chances of obtaining the qualification. Ghajnsielem seemed in a better shape during the first hour of play but failed to capitalize from the best scoring opportunities so that Kercem managed to remain in contention. The Ajax grew in confidence as time passed by and became much more dangerous in their play during the second hour of play of the encounter. Kercem’s win gains more credit as they scored the decisive goals during extra time when they had a player less on the field. Ghajnsielem created the first scoring opportunity of the encounter in the third minute of play through a strike by Naby Damba following a personal action that ended just high. Ghajnsielem were again dangerous on 12 minutes when Naby Damba crossed form the right flank but Luis Andre De Melo Lima failed to conclude as the defense cleared the danger to a corner. Two minutes later a strike from outside the area by Ali Oularbi was well saved by Kercem’s goalie Charlon Muscat. On 17 minutes Ghajnsielem once again created a dangerous situation within Kercem’s area through an initiative by Naby Damba who entered the area from the right flank but his low inviting cross passed across the area and Luis Andre De Melo Lima failed to connect. Kercem replied on 30 minutes through a direct free kick by Leite Do Canto that ended just wide and on 33 minutes Ghajnsielem opened the score when an effort by Luis Andre De Melo Lima form a corner kick by Ali Oularbi hit the crossbar and from the rebound skipper Kenneth Mercieca fired in goal from close distance. Kercem replied on 37 minutes through an effort by Flipe Augusto De Oliviera following a counter break that ended over the crossbar and on 41 minutes Ghajnsielem were again dangerous through a shot by Ali Oularbi that was neutralized by goalie Charlon Muscat. Kercem leveled the score on 45 minutes when Neto Pedro Mercadante Leite Do Canto entered the area following a counter break, avoided two defenders and netted with a low drive that was out of the reach of the goalkeeper. Ghajnsielem came out more aggressive after the break and on 47 minutes they could have regained the lead when Luis Andre De Melo Lima entered Kercem’s area but his low shot was well saved by goalie Charlon Muscat. Ghajnsielem came out more aggressive after the break and on 47 minutes they could have regained the lead when Luis Andre De Melo Lima entered Kercem’s area but his low shot was well saved by goalie Charlon Muscat. On 56 minutes Ghajnsielem were again dangerous through an effort from an ideal position by Luis Andre De Melo Lima that ended wide. Minutes later Ghajnsielem protested for a penalty alleging handling when Kercem’s defense hesitated to clear the ball from the area following a cross from the right flank and on the hour mark Kercem replied with a direct free kick by Felipe Augusto De Oliviera that was saved by Ghajnsielem’s keeper Luke Buttigieg. Kercem gained confidence and as time passed by they shared more play with their opponents. On 76 minutes Kercem were again dangerous through a shot from outside the area by Felipe Augusto De Oliviera that was saved to a corner by Ghajnsielem’s keeper Luke Buttigieg. 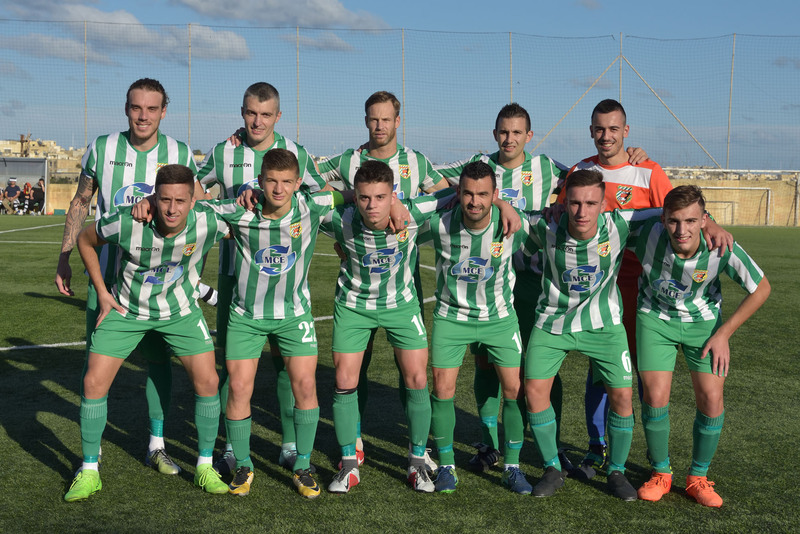 On 84 minutes the same goalkeeper was well placed to neutralize an effort by Elton Vella and two minutes later Ghajnsielem had a shot from outside the area by Damon Hili following a short clearance by Kercem’s defense that ended just over the crossbar. During the final stages the two sides had opportunities to clinch the victory. 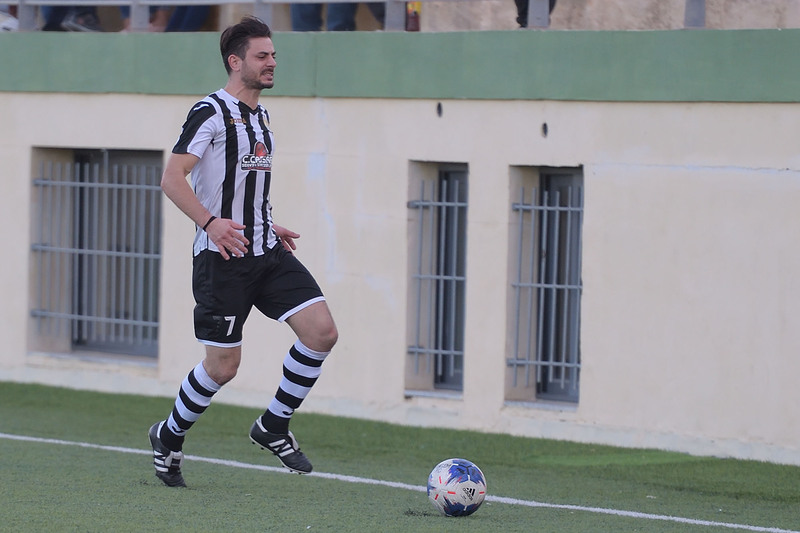 In the first minute of stoppage time Ghajnsielem’s defender Antonio Xuereb risked to commit an own goal in an attempt to clear a header from the goal-line by Felipe Augusto De Oliviera. One minute later Ghajnsielem had three consecutive attempts in a prolonged action inside Kercem’s area through Luis Andre De Melo Lima, Ali Oularbi and Damon Hili that were blocked by Kercem’s defense from the goalmouth and in the third minute of stoppage time Kercem had a low shot by Felipe Augusto De Oliviera that was saved to a corner by goalie Luke Buttigieg so that the score remained unchanged and the match had to go into extra time. In the first minute of play of extra time Ghajnsielem went very close to scoring but substitute Antoine Camilleri had a low drive form an ideal position that ended just wide. 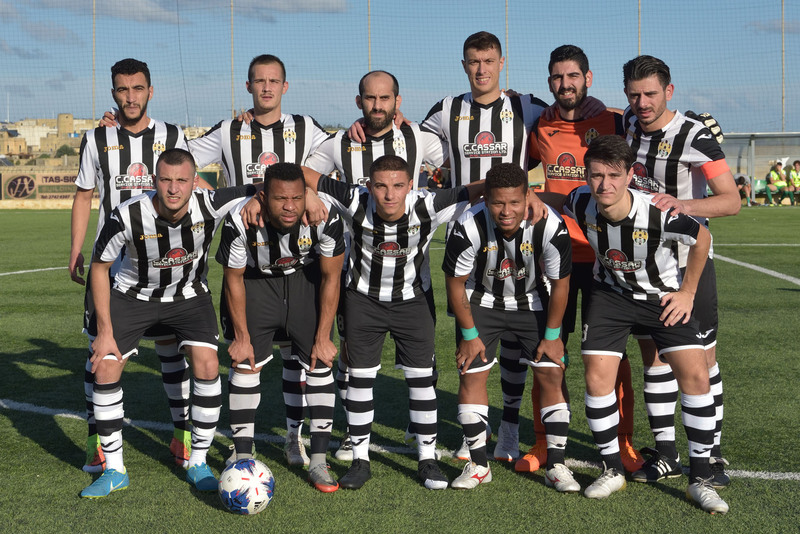 On 92 minutes a shot by Ghajnsielem’s Ali Oularbi was neutralized by goalie Charlon Muscat and on 95 minutes Kercem were reduced to ten players when Elton Vella was sent for an early shower following a second bookable offence received for a foul on James Tabone. Kercem were not demoralized and on 98 minutes they turned the result in their favour when Ghajnsielem’s defense failed to clear the ball from the edge of the area, Kercem’s Felipe Augusto De Oliveira unmarked Nathaniel Mercieca and the latter concluded in goal with a low shot towards the far post. Ghajnsielem were demoralized and failed to produce a reaction so that Kercem continued to hold command of play. Kercem practically made sure of the qualification with the third goal that arrived after just forty seconds of play of the second period of extra time through Felipe Augusto De Oliviera who passed by Ghajnsielem’s defenders, turned around the goalkeeper at the edge of the area and deposited the ball easily into an open goal. Kercem were now in the driving seat while Ghajnsielem were demoralised and on 114 minutes the Ajax scored their fourth goal when Neto Pedro Mercadante Leite Do Canto came face to face with Ghajnsielem’s keeper, who a challenge with the extreme defender and placed the ball in goal with a low shot. Ghajnsielem managed to score their second goal on 118 minutes through a close ranged shot by Luis Andre De Melo Lima following a melee in front of Kercem’s goalmouth.